As is known to most car owners, an amazing head unit can bring a lot of convenience and enjoyment to them while they are in their car. 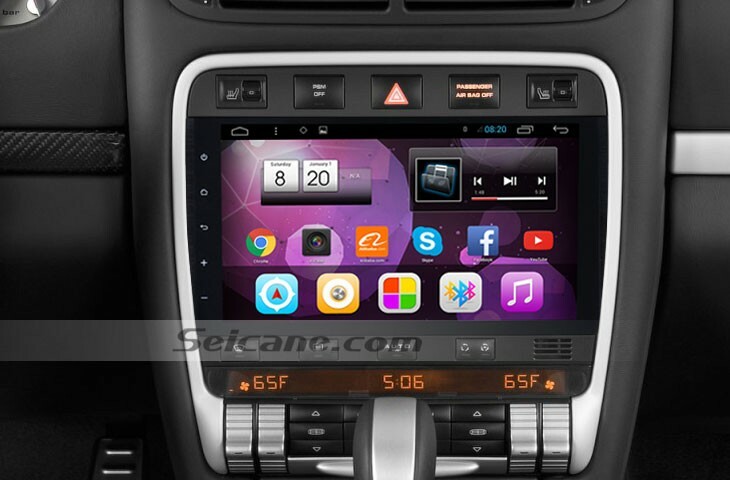 Here I’d like to show you a wonderful 2003-2010 PORSCHE Cayenne head unit from Seicane. If you plan to upgrade the factory radio in your 2003-2010 PORSCHE Cayenne, it’s an ideal choice for you to consider. And the following step-by-step installation instruction can also be helpful for you, it’s good for you to read carefully before the installation. 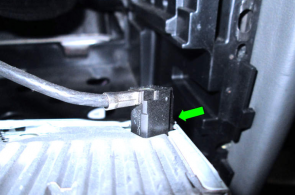 1) Please park your car well and disconnect the negative cable of the battery for your safety. 2) Please prepare a lever and a screwdriver before the removal and the installation. 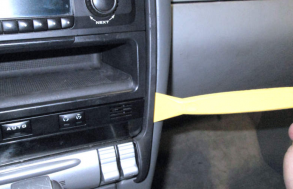 1.Pry out the trim piece along the perimeter of the center dashboard with a lever. 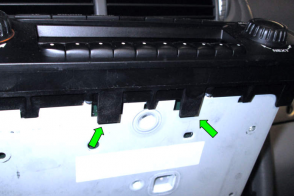 2.Remove 2 screws holding the stereo in the dashboard frame (green arrows). Please note that there will be four screws in the cars with navigation. 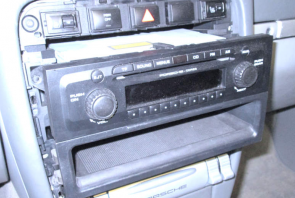 3.Carefully take the factory stereo out of the dash. When removing the factory radio, please note that there are two locking tabs on the lower tray that can break easily. 4.Here is a close-up of the underside of the stereo. These two plastic fingers (green arrows) fit into the tabs on the top edge of the lower tray. 5.Press the tab (green arrow) on the antenna lead and pull it out of the stereo. 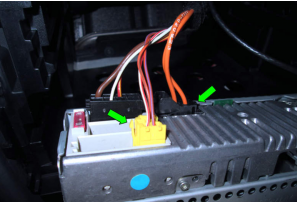 6.Pull out the connectors at the back of the stereo (green arrows). Note that some cars may have different setups based on the vehicle’s different years. 7.Connect the cables of the new Seicane head unit according to the guidance of the user manual. 8.Connect the connectors and the antenna at the back of the new radio. 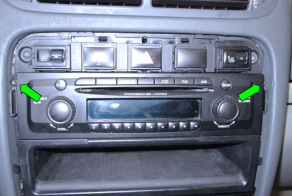 9.Put the new Seicane head unit back into the dash. 10.Install two screws and trim piece. 11.Turn on the new radio and have a comprehensive test. Wish the above installation guide can be helpful for you. If you have any questions, you can ask your dealer or a professional for help. However, if you find it too hard to install it on your own, you’d better have it installed by a technician. Before the installation, you also need to make sure you have a suitable head unit for your car. If you don’t have an ideal head unit, I’d like to recommend a great 2003-2010 PORSCHE Cayenne head unit from Seicane to you. You are welcome to click the link below for more details. This PORSCHE Cayenne head unit comes with a number of practical features for you get convenience and entertainment in your vehicle, such as 3D GPS navigation, wireless Bluetooth technology, DVD player, FM/AM radio, iPod, TV, WIFI, USB, SD, etc. The backup camera connectivity allows you to simply connect a rearview camera to get assistance for easier parking. One of the most remarkable features of this unit is that it can support an optic fiber decoder. If your car is made from 2003 to 2011 and comes with an optic fiber, you can install a decoder to make it and all your car speakers work. The installation of the decoder is quite easy. And the sound quality is very high after the installation of the decoder. Just take this high-end PORSCHE Cayenne head unit with such a big discount right now. A journey with pleasure and safety will be always with you. Good luck to you!